So...the other day I queued for a table at a restaurant. Big whoop, you say. These days, that's about as Melbourne as trams, four seasons in one day, and bagpipes at Flinders St station (if you're old enough to remember them). 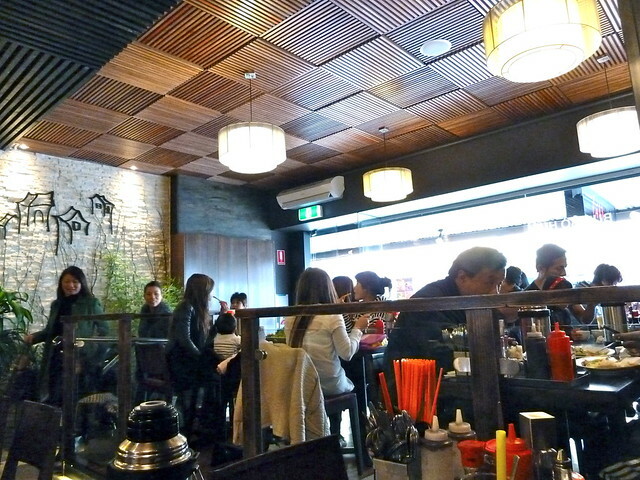 But this wasn't at some hidden-entrance, underground hotspot serving Chinese-Mexican fusion (don't laugh, there actually is one in Melbourne) - this was at a Vietnamese joint in Sunshine. So I'm stealing my own thunder a little - let's back up. 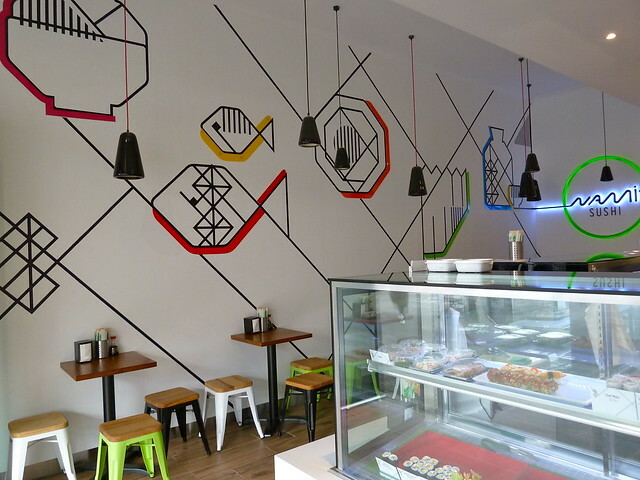 Co Do opened in late June with a seemingly crazy mission - to add another Vietnamese eatery to Sunshine's already well-stocked Hampshire Road. 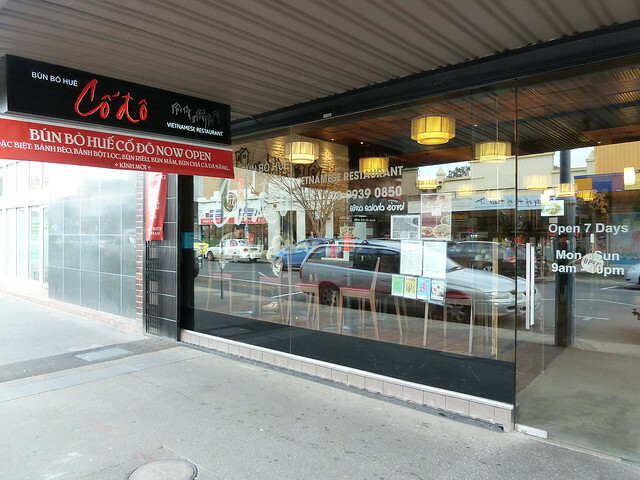 If the name sounds familiar, that's because Co Do has also operated for many years quite happily in Victoria St, Richmond. 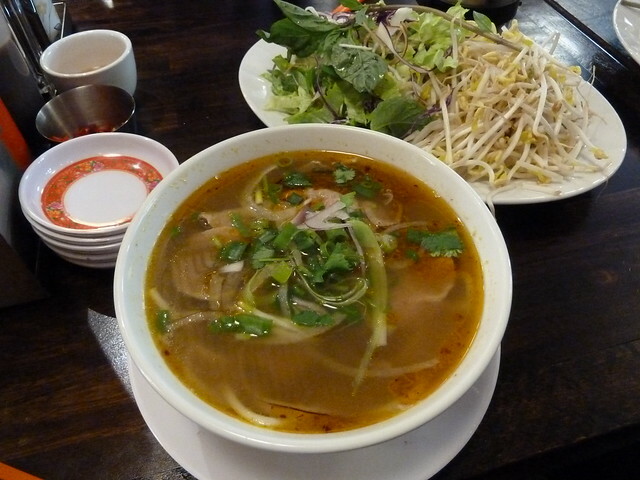 Their specialty is bun bo Hue, a chilli-lemongrass beef soup from the old imperial city of Hue in central Vietnam. But it soon became apparent that's not all they do well. The first time we stopped in, we did have to wait a not unpleasant ten minutes or so for a table. It was chockers. People get so intimidated by Vietnamese menus, and I get it. 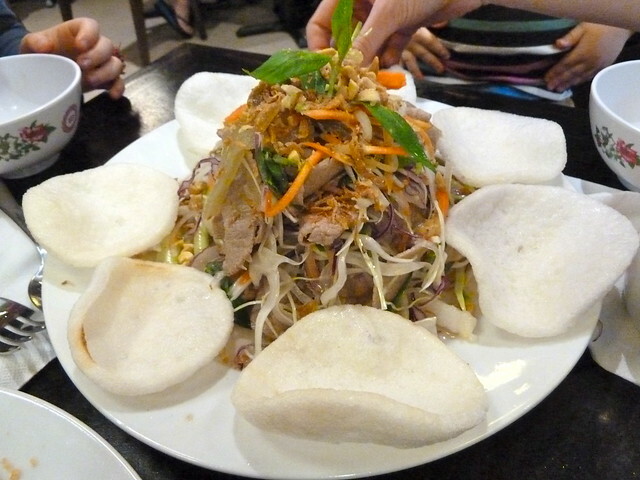 But once you've eaten in a lot of Vietnamese places, you'll begin to see that each menu has a couple of unique dishes that aren't part of the usual 1000 or so. They are the ones I always gravitate to first. 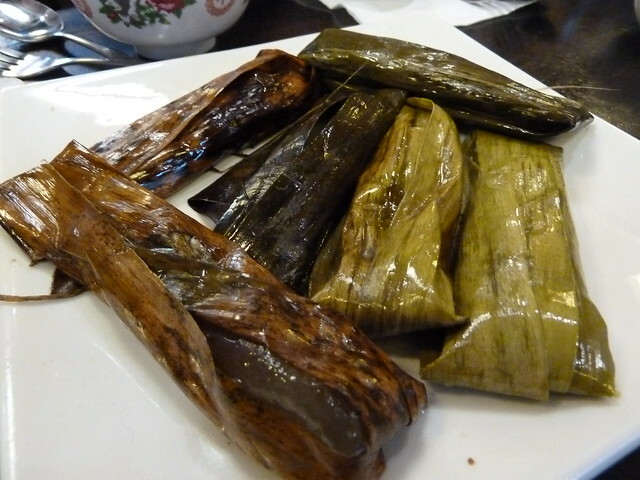 Case in point - these "pork and prawn cake in banana leaf" or banh bot loc. These were really quite unusual - unwrapping each fat little parcel (you don't eat the outer leaf) revealed a fat, semi-opaque bundle of gummy tapioca flour, surrounding well-seasoned prawn and pork. I'm not selling them very well, but they were pretty cool. A very interesting and (I dare say) street food-style dish you don't see very often on restaurant menus. 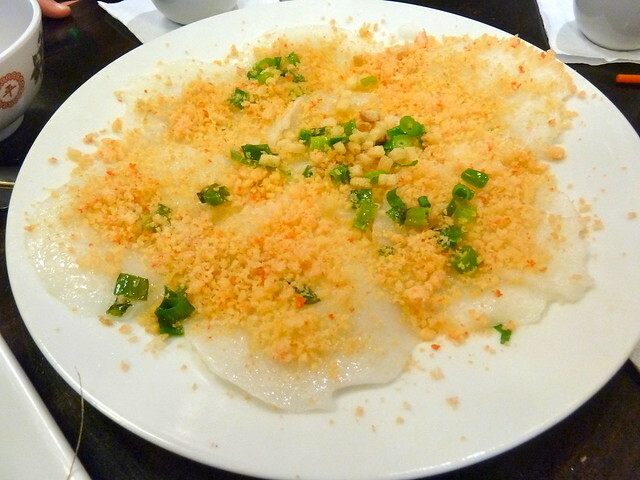 Another "banh", this time banh beo. These are mini steamed rice cakes topped with dried prawn that's been whizzed up into a crumble. This is a Hue specialty. These were much less peculiar than the former offering and really quite good, lovely doused in a lot of seasoned fish sauce. Another one that's almost never seen here in Melbourne. Do be sure to check out the specials ("Dac Biet") on the papers on the walls. They're in Vietnamese but that doesn't preclude you from ordering them (as some people seem to feel) - I knew what most of them were but the waitress was happy to explain the couple I didn't. And don't stress too much, because most are in the menu itself. This is one - rare beef coleslaw, or goi bo tai chanh if I remember correctly. The beef has been "cured" in lemon juice, similar to ceviche. A fantastic riot of flavours and textures in this one, and perhaps not as cloyingly sweet as some other coleslaws can be. 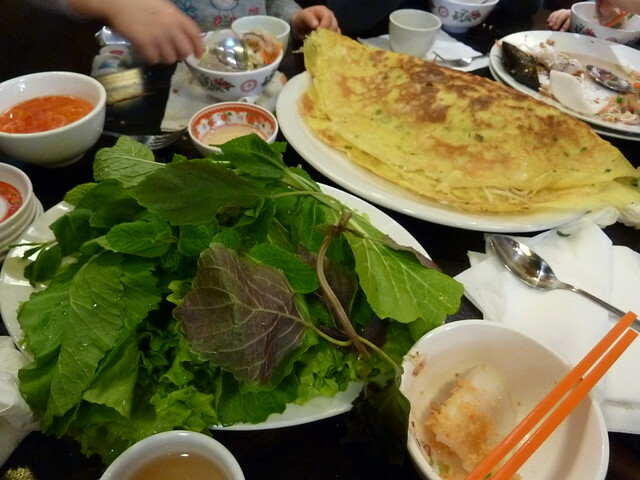 But the number one order was this banh xeo. 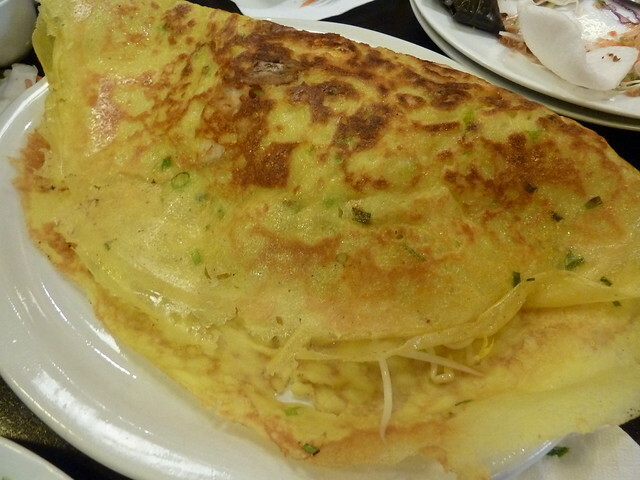 Translated as "Vietnamese pancake", this is something I've had a somewhat tempestuous relationship with, as the more I eat, the more I'm reminded how much better they can be. These filled pancakes always run the risk of being gluggy and soggy, and a sorry amount in Melbourne are. To eat, cut portions with your spoon, place in a piece of lettuce with an embarrassment of herbs, and spoon dipping sauce over. HEAVEN. Amazing banh xeo, and only 15 dollars. And no boring iceberg in sight - all the greens were really crunchy and unusual! I went back the following week, and it was looking like we'd have to queue again, when a friendly lady offered to let us share her table. This turned out to be a huge score. 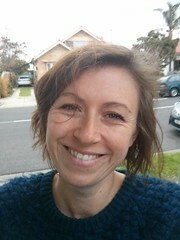 She used to be in the restaurant business and has been coming to Co Do weekly to try more and more goodies, so enamoured she is of the food. 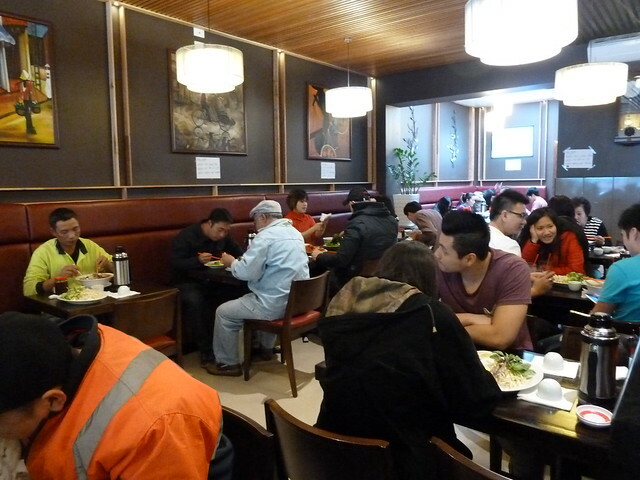 Time for the signature dish - bun bo Hue. This soup is made with a broth rich with lemongrass and chilli, and normally has an absolute butcher's bin of offal on top. Co Do do a version with just sliced rare beef for those wimps among us. This was delicious. The lemongrass is really there, giving it an almost tom yum flavour - but more beefy. 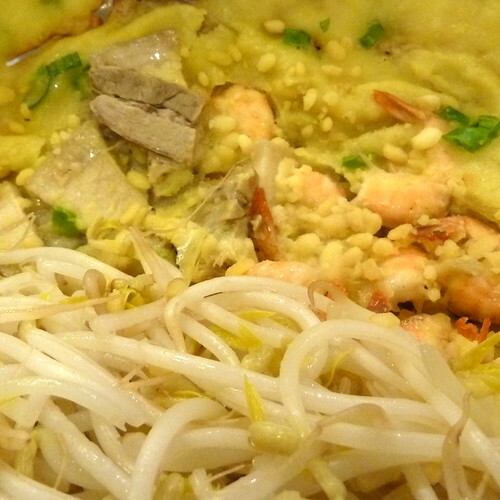 The noodles were big fat rice noodles, almost like rice noodle spaghetti. My favourite part, though, is the big pile of chopped lettuce and red cabbage for you to throw in, which you should do liberally. 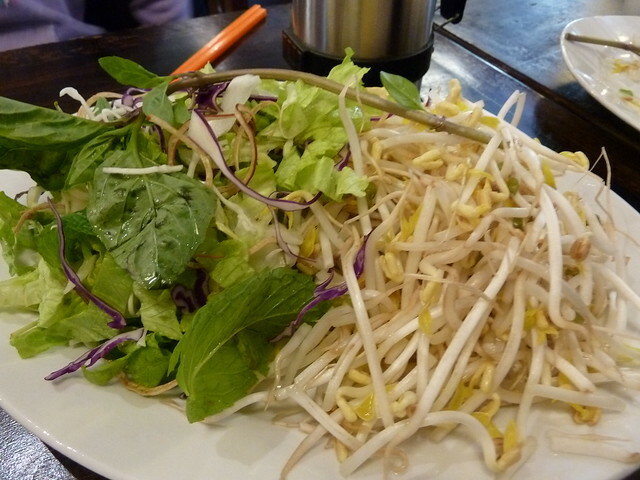 (On the left above, under the basil - the basil and bean sprouts are for the pho.) If you've done pho, if you've done hu tieu mi - it's time to try bun bo Hue. And this is where to do it. But - the pho! Normally I avoid pho unless it's a pho-specific restaurant. But this was off the hook. 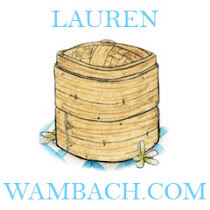 The broth was so good - a great balance of salty and sweet, and with intriguing herbiness. Fantastic. 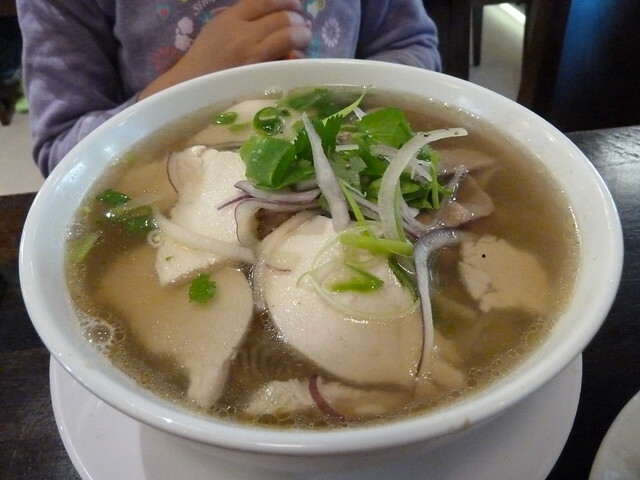 I only got to snaffle a few bites as this was hot property of a pho-obsessed child, but I am SO going back for this. PS: Make sure you put some of the Vietnamese "saté sauce" in a dish to dip your meat in. It's the sauce in the glass bottle on the table, with a spoon through the lid. The one here is really dried prawn-y - yum. My lucky tablemate had also raved about the Vietnamese yoghurt here. She explained that one of the owners makes it and "you cannot find better". I got some to take away. Now sweet yoghurt's not really my thing, and this was very sweet. 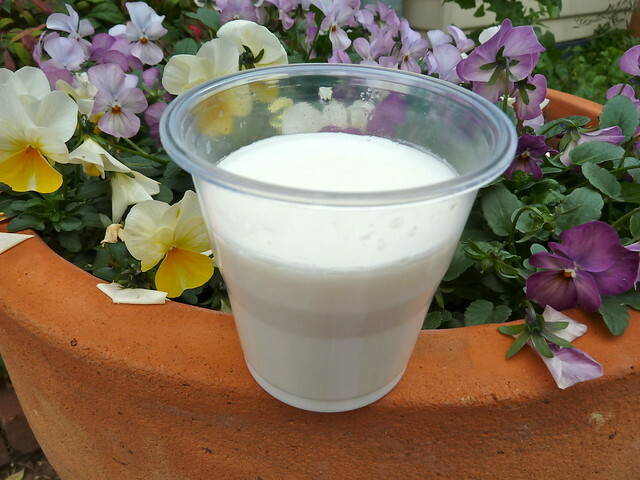 It had a fabulously delicate texture and the slight funk that sometimes accompanies sheep or goat's milk. Not my thing but I could tell it was good, if you like that sort of thing. The majority of the places you read about on these fair pages are places I very much enjoy - and then promptly go on to never revisit (or only do so once in a blue moon). It's the unfortunate reality for me, as I'm always driven to find new and exciting eats, and am bounded by both budget and expanding bum. A small proportion, though, become regular haunts. Sunshine's Co Do is definitely going to be one. 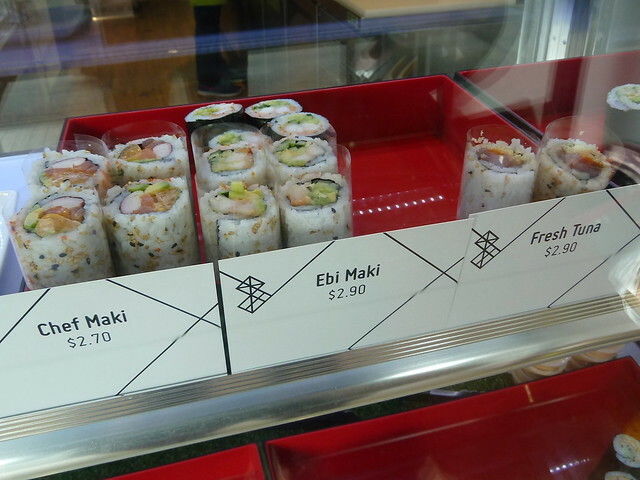 Oh, nori roll, what did Australia ever do without you? As grabbable as a potato cake and as pseudo-healthy as a Boost juice. Every second toddler I see at Highpoint is clutching an avocado roll in their chubby fists. 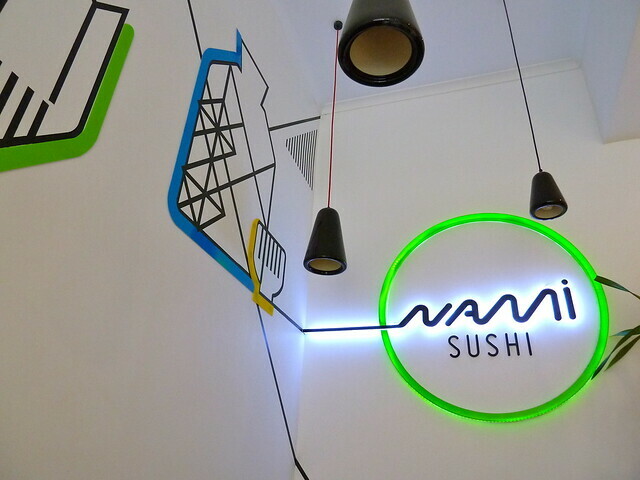 Footscray now has a schwank sushi joint in the form of Nami Sushi, just opened on Paisley Street. I love their groovy design! You've got your regulars, like tempura prawn and avocado. But then there are a few quirky characters - sundried tomato, cream cheese and avocado, anyone? 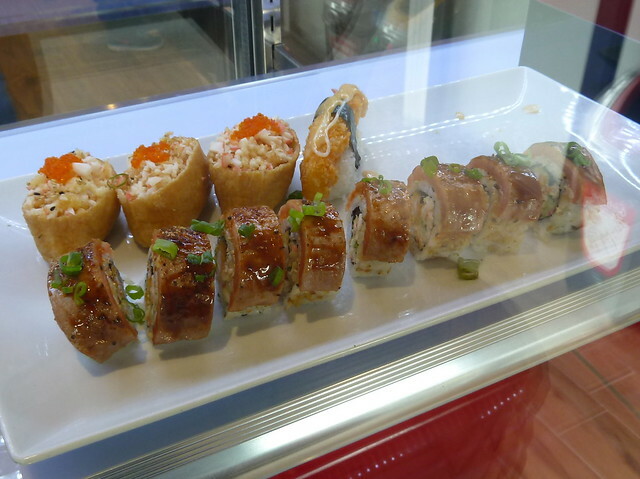 And there are cool "inside-out" rolls with the rice on the outside. 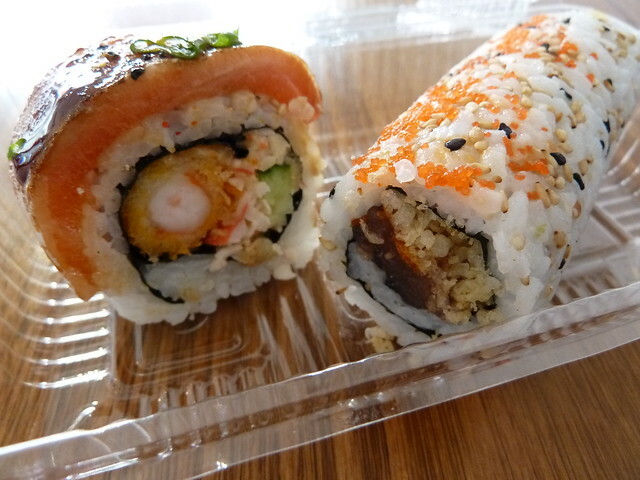 There are also some really funky layered rolls, like the one above on the left, with a nice slab of salmon on top. The verdict? I really enjoyed both rolls. My only complaint is they were quite cold. I'm not sure how Sushi Sushi et al do it, but their rolls are always at a good temperature that makes the nori not too chewy and the flavours all wide awake. (Yes, yes, I know all about the other thing they found in one of the Highpoint stores' rolls that was also very much wide awake.) It's probably a hard line to walk with government food safety regulations, I'd imagine. The secret is probably fast turnover, which I think will become Nami's reality very soon. At this stage there are tables and chairs but no specific eat-in trimmings. 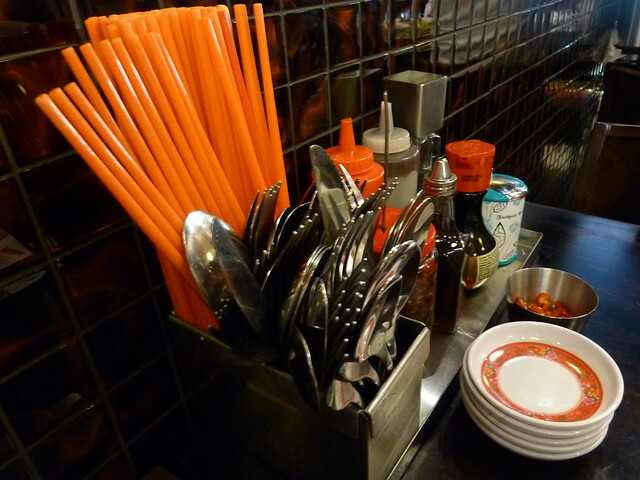 It would be great to have plates rather than having to eat out of the takeaway boxes. But for now, can I revert to being one of those nori roll-loving toddlers and exclaim... Nami Sushi? Nummy sushi!